The IM team's first consumer app built to change the way consumers make food purchasing decisions. BagIQ automatically and effortlessly logs every food item or meal bought online, with a loyalty card or uploaded via receipt or barcode scan. BagIQ then pairs this information with ingredient and nutritional data and uses this coupled with user preferences to automatically suggest alternative products that better fit a user's individaul health goals. Everyone wants to save money! Check out this hack the IM team built in order to find the lowest prices for the things you are already buying. We didn't stop there... using Price Machine it is easy to place orders directly through Amazon and Walmart. Sign up for Price Machine and see where you can start saving TODAY! 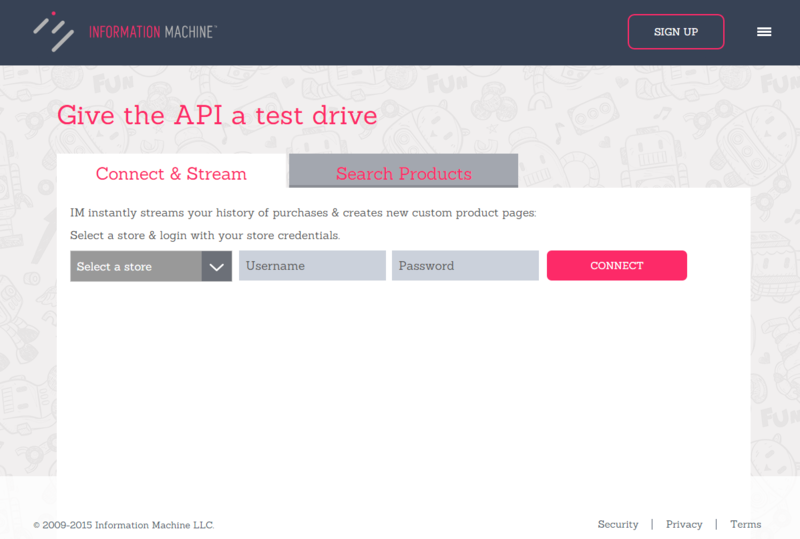 Check out our API in action. Live streaming your purchase data! Just connect stores on the power view site and watch how your purchase history is available in an instant.